The abandoned ends of this rusty but historic truss bridge are all that remain of Old Tugaloo River Bridge, which once connected South Carolina to Georgia along US 123. Today they are known as the “Broken Bridges” and serve as two of the area’s most peaceful and scenic fishing piers. You will also find picnic tables and a boat ramp at the site. The Broken Bridge Fishing Piers are now part of Lake Hartwell, a man-made reservoir that features over 960 miles of shoreline and almost 56,000 acres of water. In South Carolina, Lake Hartwell spans Oconee and Anderson counties. While often identified with Westminster, the old bridge is actually closer to the community of Madision. US 123 passed through the area until the 1950s, when it was rerouted and a new, decidedly less interesting bridge replaced this one. 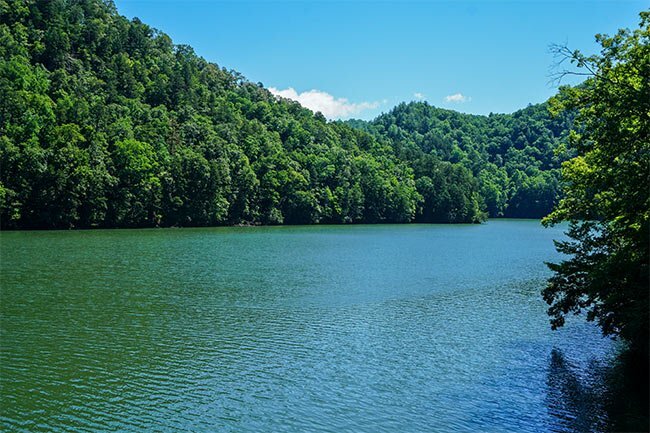 The Tugaloo River is a popular place in the Upstate to enjoy water-skiing, boating, sailing, and fishing. 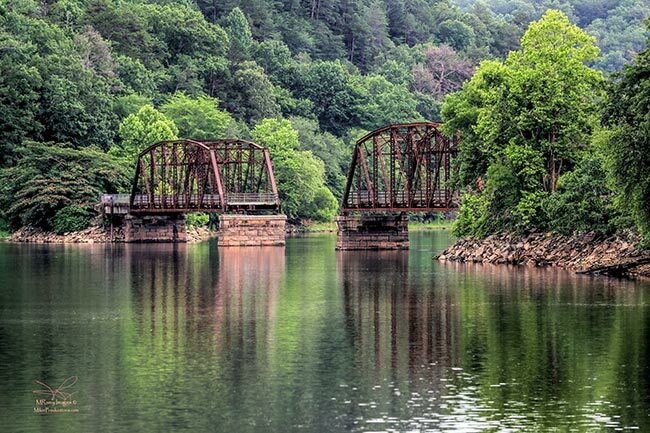 A short river that straddles the state line, it’s fed by the Tallulah River and the Chattooga River and ends as an arm of Lake Hartwell. After it flows out of Hartwell Dam, it is then called the Savannah River. This is NOT Prathers Bridge. This ridge is located south of the old Prathers Bridge which was destroyed by fire in the 70’s. 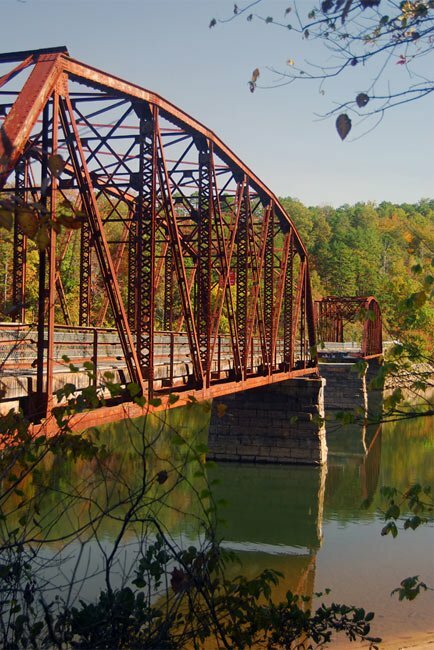 I have been teaching for Prater’s Bridge–could it have been renamed the Tugaloo River Bridge? Ah, but did you know the middle section is now on Cobb Bridge rd (this is up near Riley Moore falls on the Chauga river). Not sure if it is across the Chauga or not. I'll have to go find it. If anyone was wondering where the other third is, it wasn’t “demolished”. It was relocated to and rests on Cobb Bridge road, and is still in use to this day. Was wondering if anyone has a picture of the complete bridge ? Thank You.